As the world mourns the passing of famed physicist Stephen Hawking, many have shared tributes remembering this bright mind, including Apple CEO Tim Cook. 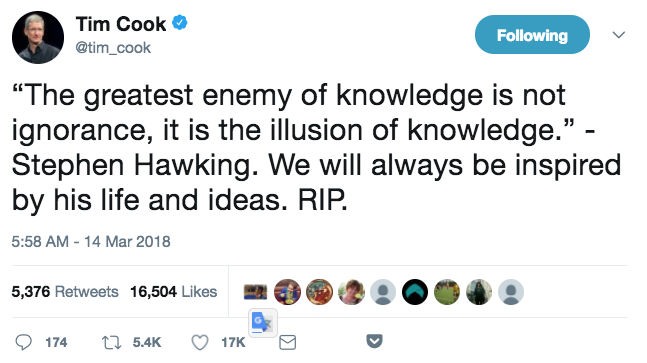 Cook’s initial tweet accidentally included a typo, spelling “Hawkins” instead of Hawking, but that was later deleted and fixed. 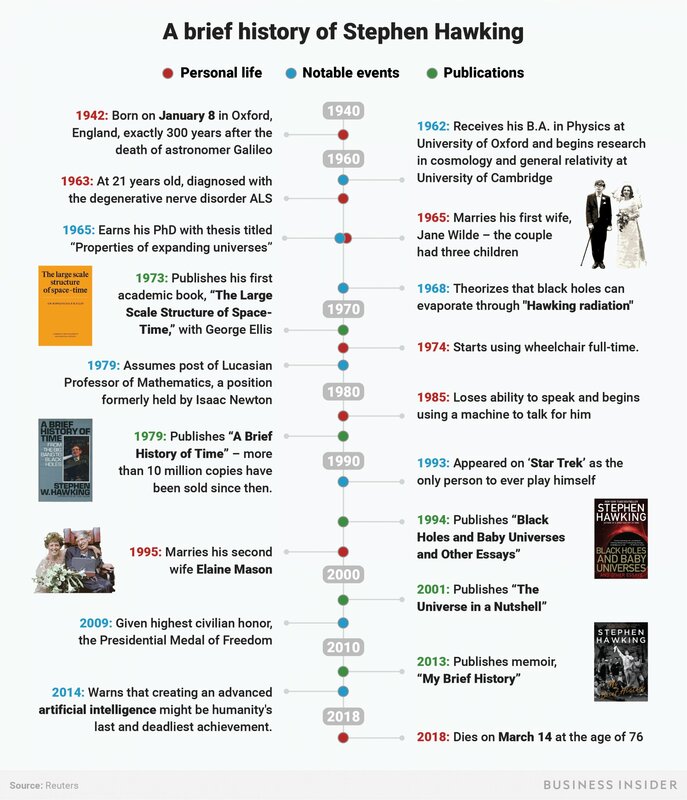 Hawking suffered from amyotrophic lateral sclerosis (ALS)—also known as Lou Gehrig’s disease, which normally can end a life within a few months of its diagnosis. Since being diagnosed at age 21, Hawking was able to defy ALS and lived to age 76, passing away late last night.